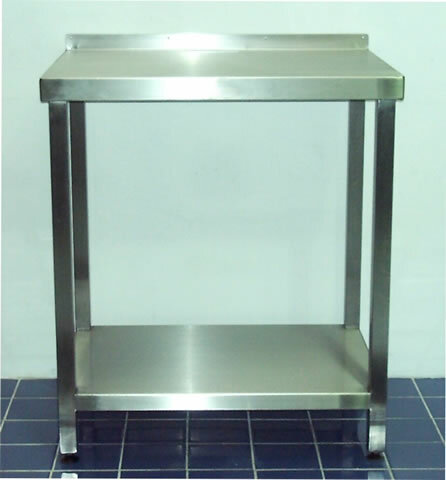 SDS heavy duty catering tables are manufactured from 1.5mm thick 304 grade stainless steel as one piece units of welded construction with an integral box section frame, undershelf and adjustable feet, no assembly is required. 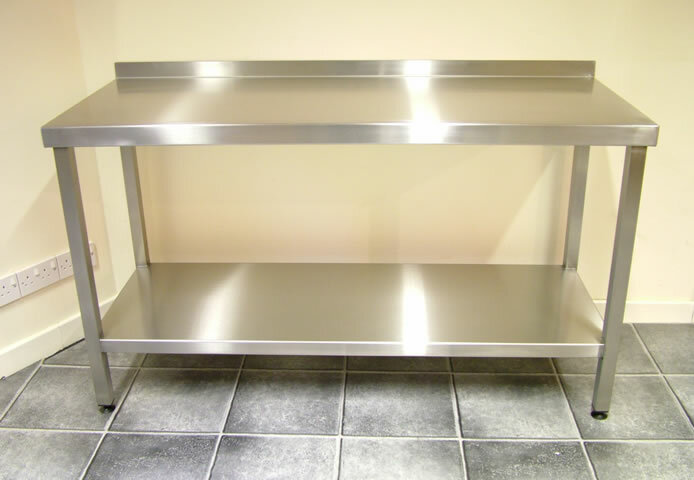 Each table has a working height of 900mm and a 50mm upstand to rear. Adjustable feet are provided to allow for uneven floor surfaces. Standard sizes are available for delivery in about 10 working days from order with free packing and carriage to the UK Mainland. Non standard sizes and configurations are also available, delivery time for these is about 15 working days.